Special Piping Materials’ Houston office has celebrated its 10th anniversary. The opening of the Kennedy Commerce Drive office has enabled Special Piping Materials to put its name on the map in the USA, growing the operation and providing firms all over the country with access to the finest quality piping products. Special Piping Materials is a leading global stockholder, supplying a diverse range of piping products to businesses in the UK, Europe, America. Special Piping Materials now has offices in the UK, Brazil, Australia, the United Arab Emirates, Oman and Singapore. 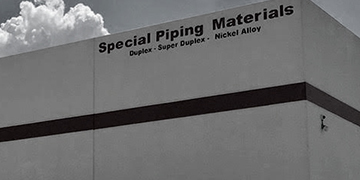 Special Piping Materials Houston is one of the leading providers that stocks and sells super duplex materials, including S32750, directly in the USA. These versatile, durable materials offer a wide range of uses and applications, including pipes used for the transportation of gas and oil. supplies, Special Piping Materials has also made a positive contribution to community life in Houston. The Houston office has developed and modernised over the past ten years, but the Special Piping Materials team is not resting on its laurels. Visit our website to find out more about Special Piping Materials, Houston or to discover more about the company.